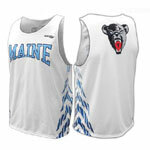 All sublimated uniforms are CUSTOM and NON-Returnable. Once you approve the artwork, the order will proceed. All Designs are the property of the client and cannot be used by other teams without permission. Dye sublimation is a process in which all design elements including logos, lettering, numbers, team names, sponsor logos, etc. are dyed directly into the fabric. This has the advantage of being permanent, and actually becomes part of the fabric as opposed to screen printing which will eventually wear off and deteriorate. 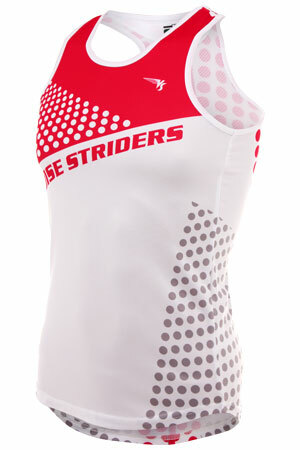 It also makes the uniform very lightweight and breathable. All colors are matched exactly to your specifications or existing uniforms colors. Artwork can be anything you can imagine (and provide to us for production). Get your artwork to us. Remember, these can be ANYTHING you can imagine, not just the striped examples we show below. See the slide show and video for examples. We can take any file format you want to send us, but try not to use Word. Specify the colors we should use EXACTLY. If you need a specific color, use the chart shown for reference. IF YOU SPECIFY A PANTONE PMS COLOR, YOU MUST LOOK AT A REAL PANTONE COLOR BOOK IN PERSON, YOUR MONITOR WILL NOT REPRESENT THE COLOR ACCURATELY. ANY PAINT STORE OR HOME IMPROVEMENT SHOP WILL HAVE THEM. Artwork charge is $60. Numbering can be added for additional $2 per garment. Choose what items you want from the table below. Make a list of sizes for each one. Art approval and confirmation. We will email you a proof of the design and get confirmation to begin production. From this time, allow 8 weeks for delivery. Quantity discounts: 1-11: $50.00 12-23: $34.99 24-50: $28.99, 51+: call for a quote. S82153 VS Performance S/S T-Shirt M (YM-3X) add $10 to above prices. S82253 VS Performance S/S T-Shirt W (YM-3X) add $10 to above prices. See below for other brands offered.